…or at least that’s what you’re hoping for. Sometimes what you get from sleeping outdoors is a lot of mosquito bites, a really sore back or a curious rustling in the woods that may or may not be a bear snooping around your camp. The truth is campers— especially newbies— experience a lot of bumps along the way, particularly when it’s time to sleep. It’s understandable; not all people are used to snoozing outdoors, but there’s always a workaround for that. Some things are learned through experience and some, well, you can just read on to find out 6 mistakes you’d want to avoid while out camping. The three major rules of spending the night outdoors: location, location, location. Unfortunately, a lot of people forego this crucial step in favor of just setting up camp wherever they think is convenient. Too often these campers end up tramping all over plant life, being too near or too far from the water source, spending a night in bumpy, uneven or damp ground, or just being in a generally nasty spot. Choosing a location is almost a no-brainer when you’re in a place with designated campsites— these offer small conveniences like firepits and toilets and sometimes all you gotta do is pick a spot away from other campers, preferably the one with the best view. 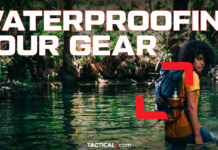 When you’re deep in the backcountry, however, you want to pick one that will offer comfort, safety as well as provision. You generally want to pick a nice, even spot where you can pitch your tent or build a shelter. For a more comfy night, a spot with natural insulation like grass is way better than sleeping on rocky, bumpy ground— however, be sure to look around to ensure the area is safe from venomous snakes and other unhospitable wildlife prior to setting up camp. Sleeping underneath trees is fine in some cases as they offer shade, but they also place you at risk of falling branches or catching lightning in bad weather. You don’t want to be too near the water source when you’re deep in the backcountry— doing so increases the risk for floods and encounter with wild animals. The water is also a fine place for bugs to gather and annoy the hell out of you. Pick a well-draining site that’s about 200 feet away from the main water source. This way you also minimize the risk of contaminating the water. Avoid gorges and depressed areas as they are also prone to floods. Now that you got your location down pat, it’s time to keep it clean. Last year, a group of campers in Alberta, Canada had to pay a hefty fine after a close encounter with wolves. Their campsite was apparently so messy that it attracted the pack, and the rangers had no choice but to shoot one wolf down. Another group of campers in California had the shock of their lives when they came nose-to-nose with a bear while camping in Yosemite. They stowed their food safely, but failed to clean the rest of the camp before calling it a night. Both scenarios could have easily ended in a disaster. They could also have been easily avoided if the campers just bothered to clean up. It’s important to remember that wild animals, especially bears and wolves, are attracted to food and trash. Keeping your campsite clean isn’t only for hygiene— it’s also for your safety. As a rule, always set up your trash bags the moment you set up camp. Never store food in your tent and put some distance between your sleeping and cooking areas. Do not sleep in the clothes you cooked in. If you’re in bear country, avoid cooking aromatic food and of course, always use a bear canister or food locker for storage in case a brazen bear sniffs around your camp. Another mistake rookies make is sleeping without any layers between you and the dirt. This is never a good idea— whether you are in a survival situation or just want to be “one with the earth”. Sleeping without any layer between you and the ground will cause massive heat loss through convection that can lead to hypothermia in extreme cases. At the very least, sleeping directly on the ground will attract critters and bugs to cozy up and bite you. A sleeping pad is a simple but effective way to provide a layer of protection from the ground. You can get an inflatable pad when you want to go lightweight. The downside is that these can puncture when used on tough terrain. Self-inflating and closed-cell foam pads are slightly bulkier but are more reliable if you’re car camping or if you want to go to a more rugged site. Sleeping bags are also a must (and an obvious choice) for every camping enthusiast. Sleeping bags come with a temperature rating so you’ll know which one to use for a particular season. Mummy bags are warmer as they adhere closer to the body while rectangular bags, on the other hand, are a bit more spacious but less warm. If you’re the kind who doesn’t want to sleep on the ground at all, hey, you can always rig a hammock between some trees. In a survival situation with limited resources, you can make a raised bed from raw materials or use debris like leaf litter, grass, and twigs to protect you from direct exposure to the ground. Your choice of firelay can affect how well you sleep at night. Some people don’t put a lot of thought into their campfires, and they end up waking up in the middle of the night, cold and shivering. Some fires also need tending more than others so you have to choose one that burns longer but requires minimum supervision. Upside-down fires are excellent for a night outdoors as they burn long and hot. The thick wood fuel is stacked at the very bottom, and the smaller kindling and tinder sit on top. This type of fire burns from the top down like a candle and doesn’t need a lot of tending. Another type of long-burning firelay is a Siberian log fire. This type of fire requires a lot more muscle and skill, but can burn for hours on end so you might want to give it a try on your next camping trip. Now here’s the thing: people want to be nice and toasty when spending a night outdoors. It’s just that sometimes, a lot of us don’t bother to do little things to make our excursions more comfortable. Case in point: sleeping sweaty. If you’re sweating through your clothes or have damp clothes on, you’re most likely to get colder as the night goes on. 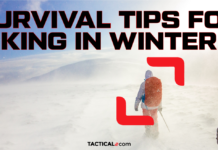 In extreme situations this can even lead to hypothermia, so make it a point to always switch to dry, breathable base layers before tucking in at night. Also, make it a point to do your business before sleeping. This way you don’t have to get up in the middle of the night to pee and warm yourself all over again. You can fill your bottle with hot water and put it in your sleeping bag for additional warmth. Make sure to keep the lid tightly closed so you don’t spill and scald yourself. Just so you know, bringing a pillow to camp doesn’t make you less of a manly man. Sure, you can make do by using a stuff sack and some spare clothing, but in the summer where you really don’t have coats and jackets to use, bringing a camp pillow can really make a huge difference in terms of camp comfort. And when you get a good night’s sleep, you’ll have a better mood and more energy in the morning. Camp pillows have now become ultralight and easy to pack without compromising comfort so there’s really no reason not to bring one. They also come in many varieties like down, compressible and inflatable so you’ll have more options to fit your needs. Camping has enjoyed a sort of renaissance over the past couple of years, with many young people saying that they’d most likely spend time in the great outdoors. This means that a new generation is rediscovering the joys of just being out there instead of being cooped up in the city, and that’s a wonderful thing. Mistakes are part of learning, but it’s always better to be prepared so you can have more time for fun. If sleeping outdoors is a new thing for you, it’s always great to do lots of research first before heading out so you can make the most out of your camping experience. Are you going camping soon? Let us know in the comments below!